Manipulation is the Number One guilt game played by narcissistic, controlling people. This means manipulative and controlling people try to make you feel guilty to get their own way, regardless of what's good for you. They'll accuse you of insensitivity or disloyalty or a lack of Christian kindness, in order to pressure you into giving your time, your money, or even yourself into doing what they want--even though you are not being led by the Lord to do so. 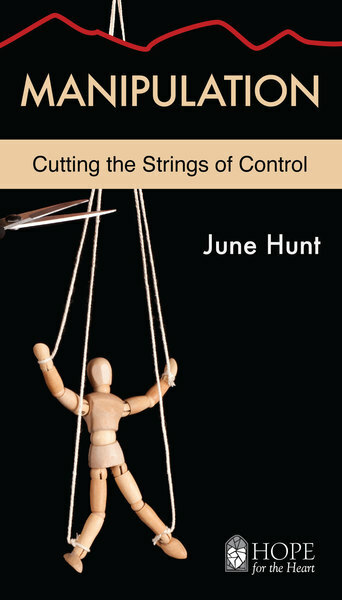 In this mini-book on manipulation, you will learn what tactics are used by controlling people, why you have been manipulated, and how to stop being manipulated. In other words, this Hope for the Heart mini-book, Manipulation, gives Christians the confidence to say no to people so they can say yes to God. To stop being manipulated, you must sometimes say no to people so you can say yes to God. Manipulative traits are often passed on from generation to generation, but you have the power to stop the abuse and start the healing. Manipulation and deceit started all the way back in the garden of Eden when Satan convinced Adam and Eve to sin. The root cause is our own selfish desires, but they can be stopped with God's help, and you can walk once again on the path to wholeness.